Performance statistics are recorded for each player. Each players statistics are automatically calculated after each match that a player is selected has been played. 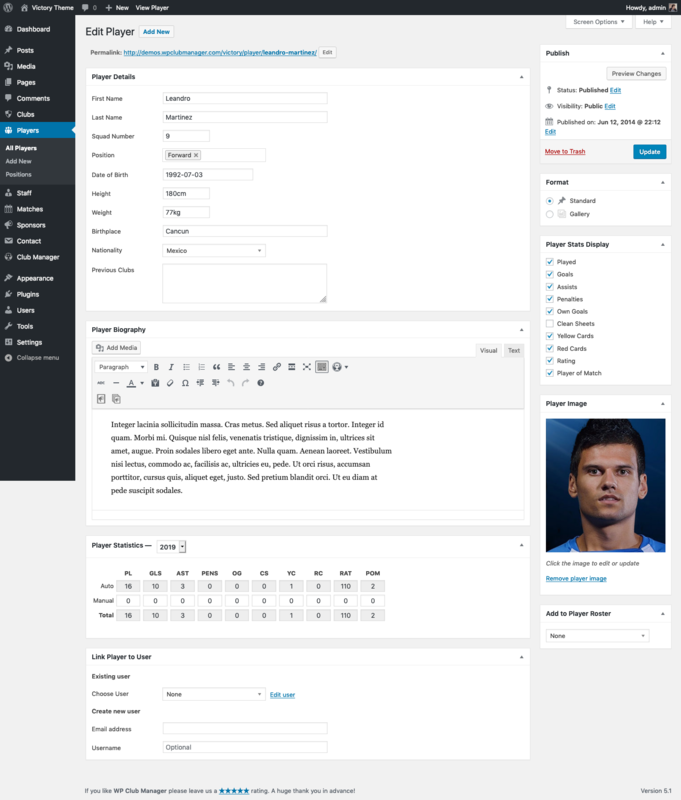 It is also possible to manually update a players statistics. Each sport has a selection of pre-set statistics. You can choose which statistics you want to use for your players by selecting them in Settings > Players. The players statistics tables are visible in players Edit screen in your admin dashboard. In Club Mode a statistics table is displayed for each Team that the player has been included in. Performance Statistics are automatically updated after each match and are displayed in the Auto row. Adjustments can be made by updating the Manual row.